The recruiter of young talent in Brazil on behalf of Shakhtar Donetsk, Franck Henouda has granted an exclusive interview to Sambafoot, where he expands on football news in Ukraine and on the future of Alex Teixeira. After all the events that occurred in Ukraine, one might say that the general level of the Ukrainian league has declined? We cannot say the level of the Ukrainian league has decreased- the level of the Ukrainian league is always good, the evidence is in the Champions League. Dynamo Kiev came out of their group, Shakhtar is progressing in the Europa League and last season, Dnipro was in the final of the Europa League so the level is always good. These problems have still had an impact on Ukrainian clubs. Obviously, the events that unfolded in Ukraine have had an impact on two to three clubs from eastern Ukraine, teams who used to spend to strengthen with a lot of Brazilian players like Metalist or Dnipro. There was a decline in recruitment due to financial problems, but the bigger teams are still present and play in the European Cup. Ukraine is a bit like other championships with two clubs that dominate the rest, as can be seen in Spain. In France, there is only one club with PSG. But it has always been like that in Ukraine before and after the events. Do you think Shakhtar have the means to progress in the Europa League? I think Shakhtar has the means to make a beautiful campaign in the Europa League even if we do not forget that there are good competitors in this competition already. Get to the final, I do not know but we will have a chance. We saw against Real Madrid even a 4-0 down, they were able to come back to 4-3, despite the defeat against Paris, they had a good match at Parc des Princes. The coach Mircea Lucescu has been at the club for eleven seasons now, do you think that these events could push him to leave the club? I do not know but he is a very loyal coach to his principles and he does not abandon his group when the boat sinks. He has a deep respect for the president, who has invested. He is a man with great human qualities and is not the type to leave everything if he just has a good proposal. Shakhtar Donetsk seems to have stopped its recruitment in Brazil, is it temporary or permanent? There is a delicate political situation in Ukraine, there are concerns in particular in Donetsk and the president has invested heavily in the region, in Donbass. It is normal that he will not spend five, six million on Brazilian players while at home we also need humanitarian assistance. Recruitments of not just Brazilians, but outside Ukraine were almost suspended when the events began. It is normal to see his Brazilian players ask to leave the club with what is happening in the country? In all clubs in the world, players necessarily want to leave to find better clubs, at Paris Saint Germain, Rabiot as a player wants to leave and Real Madrid is the same. A player like Douglas Costa was bought for 5-6 million and remained at the club almost five years, it is normal to sell when you receive an offer of 40 million. These are players who were able to grow in Ukraine in the hands of Lucescu, who has prepared them to go higher. Sportingly during 4-5 years they have contributed enormously to the club and their departure they also contributed financially to Shakhtar. Today, is the club always asking you to scout future recruits? The president and the coach Lucescu asked me to look young talents here in Brazil, players with a profile that is very technical and fast with a good brain. I am always working should the president need a reinforcement. The downside is Bernard, who has not impressed since his arrival. There were two or three players who were recruited by the club staff, personally, I was not for nor Lucescu, but it happened. After that is just what happens in the life of a club. Are you surprised by the explosion of Alex Teixeira who took advantage of the departure Luiz Adriano to become the top scorer in this team? Not surprised. Alex Teixeira is not a striker, he plays behind the striker or as a false 9. He always had qualities as a finisher and has in recent seasons kept a very high level of performance. He has a great future, there is already Chelsea who made an offer of 40 million euros. I think he will leave in June. I think they will keep him for the Europa League. Shakhtar Donetsk will play the Florida Cup, will the club then travel to Brazil, like last season? Not this year, they will stay in Florida at the Florida Cup and will play some preparation matches before returning. Can a player like Marlon follow the same path as Alex Teixeira? Marlon and Taison were already in Ukraine. They arrived at Metalist young, they were trained in some way in this club, which is not that of Lucescu. That makes it difficult to apply the same pattern as for Douglas Costa, Willian and Alex Teixeira. They are very good players and I think they could leave for 13-14 million. 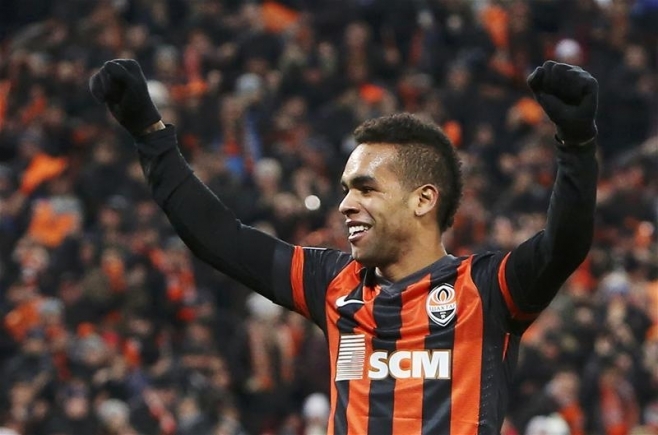 Today, the two major players who could leave Shakhtar are Alex Teixeira and Fred.